Our Quality Assurance department is staffed by a graduate metallurgical engineer and 2 assistant quality control inspectors. Our laboratory equipment enables us to prepare micro specimens and subsequently verify that all specified microstructure and hardness requirements have been met following thermal treatment. Products which require verification of specific mechanical properties are sent to an independent laboratory. Serving a variety of industrial sectors, from aerospace and automotive to robotics and semiconductor, The Euclid Heat Treating Company is pleased to offer a variety of secondary processing services, including eddy current testing, gaging, packaging, and X-Ray Fluorescence (XRF) analyzing (positive material identification). Our eddy current testing device, Eddyvisor® , is used to non- destructively test for hardness, case depth and case pattern as well as determining other mechanical properties that may be out of specification. Euclid Heat Treating has been very successful in using the Eddyvisor® for crack verification as well. Euclid Heat Treating is proud to announce that we now offer positive material identification (PMI) using Portable X-Ray Fluorescence (XRF) Analyzer Technology. This technology allows real time identification of over 400 different alloy grades. We can analyze sample parts that are sent to us, or we will come to you and do on-site analysis of your material. 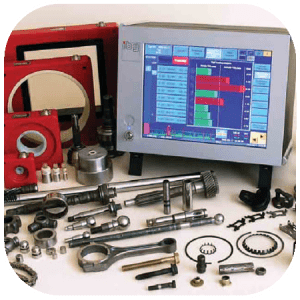 This technology will allow you to save you money by knowing your materials before making parts and risking costly scrap and/or rework operations. This technology will also save you time – we can provide you a printout of the material composition in minutes, without having to wait for lab analysis. 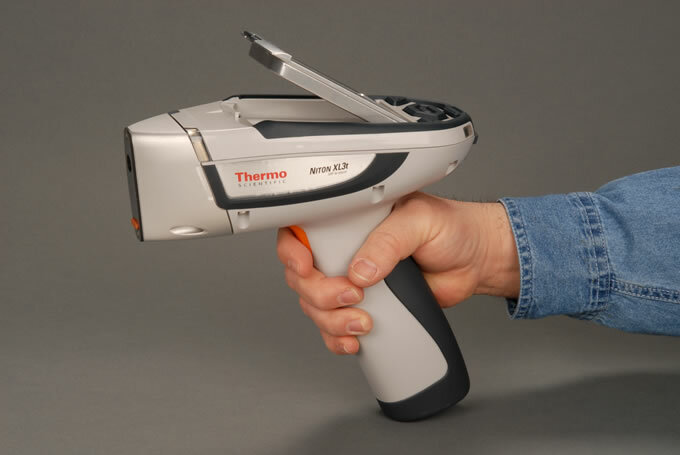 This XRF technology is 100% non-destructive, there’s absolutely no need for etching or cutting of your samples. We can test finished or raw material, large or small quantities, and we can quickly and conveniently test your material with exceptional precision and accuracy. The Euclid Heat Treating Co. will provide Heat Treating and Secondary Services that meet or exceed our customer expectations, requirements and specifications. Through training, each employee in the company is empowered and responsible for raising the level of excellence through measuring, analyzing and refining processes to continually improve the quality, value and profitability of our service.